The journey to become an international student starts with finding the perfect college. Every student has a different idea and varying criteria when classifying the “perfect college” and we want to hear your thought on this topic! Tell us your favorite college or university on our social media channels in January and February and you will be entered into our Perfect College Contest! 2. Tell us on Facebook, Twitter or G+ which school you think is the perfect college or university. While you’re there don’t forget to like, follow or add us to your circle. 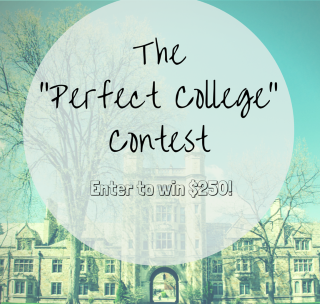 Enter the “Perfect College” contest for a chance to win $250! Good luck! This entry was posted on Friday, January 2nd, 2015 at 8:02 am	and is filed under Competition, International Student, Study in the USA. You can follow any responses to this entry through the RSS 2.0 feed. You can leave a response, or trackback from your own site. Thank you, for give us opportunities for search our perfect college. We are glad you enjoy the chance to find your dream school and enter our contest. Good luck! I, Dipanwita Dutta, am a student at JNCASR, Bangalore (India). I am a potential applicant for PhD, 2015 applying to Oxford and Cambridge and few other Univerities in UK. I will be grateful if you can let me know if any funding or scholarship opportunities are available. If so where to get the form. It is dream to study in these Universities and I have obtained so. But for scholarships I wont be able to study there, I am really disheartened. I am sure I am a deserving candidate but my financial condition is poor. Looking forward to an encouraging reply. I got through Cambridge and Oxford Universities last year for the October session, 2014. But I could not apply for many scholarships as they were few and I did not get through. Please Sir kindly look through this problem I will be really grateful. Am most grateful for all the opportunities given us to acquire all the knowledge power to help serve in our generations well. Thanks. Hi, I’m new to the site. Just wondering if you only promote universities from the U.S, U.K and Australia. I’m planning on going to college in Canada however I haven’t found any Canadian schools on your site which is why I’m just asking to get some confirmation on the matter. We unfortunately only have a list of schools in the US, not any in Canada at this time. Sorry about that- good luck finding the information you need. This gesture of support to individuals in pursuit of education is highly appreciated. Personally, I am in high hope of receiving any sort of aid on my path to expand my knowledge and find my place in this world. The education I had in my home country was not entirely on a level that I have hoped it would be when I enrolled. Thus, I am endeavouring to continue my studies abroad, preferably in the US. My current area of expertise is closeley related to ESL, education, literature and most of all, to English language. To be honest, I received quite an amount of knowledge and skills, but very little practice. Also, I expected a wider choice of subjects and I came out dissapointed. 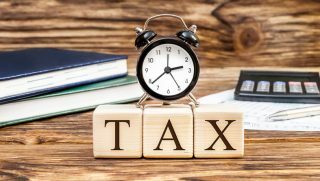 I am well aware that the quality of education that I would like to receive in the US is expensive for my standards, and I am ready and willing to work unless I am granted some sort of scholarship or financial aid. It does not matter the level of achievement one had attained, if one do not achieve his/her dream, his/her very life passion; he/she is not successful. I have a degree in microbiology but my dream and passion always is to become a physician consultant , I have seen myself to be one. I have this strong desire to study in any US medical college to achieve this dream and see me fulfilled. It does not matter the reputation of the college, it won’t make me, it will just only help bring to live, to reality, what is already embedded in me. “After all, touching and handling is what makes the great differences.” I won’t hesitate to board any ship that will help me get to this destination. So far, financial aid has been my sole challenge, even till date. I will be very grateful if my application is favourably treated. My perfect school would the school that prepare me the bests for the reality of the industries and allows me to do what I love as much as I can, it also let space at my own creativity and imagination with no limits! Fortunately I found this school and it’s the Academy of Art University here in San Francisco! I am a Freshman starting my second semester excited and thrilled to see what this experience is gonna give me!! Thank you all for entering- good luck! Thanks ma’am for giving a lot of us out there this great opportunity. It takes a person that has had an experience of something to try to wanna change the system. I know the feeling cos i have been through it and still am…not getting to study where your heart truly desires could be really not fulfilling. I believe i have a bright future ahead of me and even though i don’t get to win, i know that time will come for me too…could be today, could be tomorrow. “The Perfect College” contest rocks!!! After 10 years of work experience in multimedia design, I set about to go back to school to further develop my skills and to study multimedia programming. I decided to do so at the City University of New York because, coming from France, a country where education is mainly public, I had the feeling that CUNY best suits my personality. Yet, I found at the Borough of Manhattan Community College (BMCC) an incredible, diverse and helpful community with whom I feel very comfortable. Additionally, foreign students like me, have less access to scholarships and financial aid, thus I am very conscious and grateful for CUNYâ€™s affordability compared to other universities in United States. Last year, I applied to the BMCC Foundation Scholarship which I was honored to receive. It came as a reward for my commitment to study and to the BMCC community. It is also a great opportunity for me to earn my Associate Degree in Multimedia Programming from this college and to move on to another CUNY four-year college. My goal is to earn a bachelor’s degree at City College of Technology. My dream is to help other students, like me, to accomplish their own dreams by working as a multimedia programming teacher at a public university like CUNY. I chosed SDSU ’cause it is economical as far as tution is concern and has my field of interest to study.And again it offeran associate degree which i will just switch from there to a my bachelor’s degree program without any need to change either state or university as well,thus will be convinient for me . It is still me ,that SDSU i chosed means South Dakota State University. It’s great that there be given hope to the people. But I always find it difficult to communicate. I hope to find a solution. Amazing initiative to get good comments about favorite colleges around the world, thanks. Definitely All universities among top 1000 on earthe are best places to enhance personal KSA I reckon. Undoubtedly, however, I am willing to master up at Hult International Business School. One can enjoy among several majors like MBA, EMBA, MIB, MF and MIM with one-year MBA being the most innovative approach according to AASB in 2014. By the way for me it is very high investment as i am trying to self finance my graduate education @ Hult IBS, is there any scholarships to apply to utilize in Hult IBS?? For me the perfect University would be The University of Texas at Austin!! I am from Venezuela, I got my degree on Psychology at the age of 19, my skills in this field are excellent, Now that I’ve finished with college I am interested of doing something else, I want to grow up as a person, as an student, I have amazing plans for life… knowing that US have given great theories my dream is studying in an American University. Florida Memorial University is the the best option for me. Thanks to international students I could finde my perfect college. Now the challenge is to make my dreams come true. Hi , Thank you for your amazing idea. For me the perfect University would be The University of California. My perfect college or University, is a kind of which offer some financial aids, or accept me like a RA, A University which concern about its int students’ cost and expense. Such a University which is in an environment in which students are able to find a part time job easily. This is a perfect contest to me. I am searching for a long time. I think my perfect college is Towson university. Thanks to this contest to get perfect college to me.thanks for this! In the field of public relations at a university in England or America PhD I wanted to continue my studies please Here guides. I would like to express my gratitude to thank the Perfect College Fraternity for creating this platform for everyone to express his/her heartfelt academic quest. I am a South Sudanese national holding a bachelor degree in Political Science and Public Administration from Moi University, Kenya. I would like to enroll for master program in Political Science and Public Administration at the University of Nairobi Kenya. human population on this planet. I want to see the world that is free from strife, violent conflicts or wars as well as any other phenomenon that may be perceived to endanger human existence. All in all, it is only education that can change anything from worst to best. I want to continue my education in master in United States in Civil Engineering can you help me in finding a good university???? Iâ€™m a Tanzanian graduate in BSc Environmental Sciences and Management. I would like to continue with masters degree in University of California. Considering my financial situation is not good. I will only go once sponsors are available. I shall be grateful if my financial Aid for The International Student Blog can be favorably. I’m from Russia. 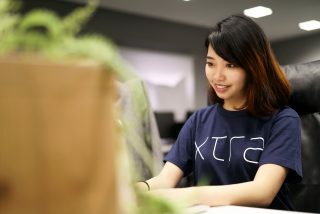 I’m an international student in the US. I study at Green River College. I’m doing my AA degree in electric engineering. My goal is to transfer to Washington University. It would be awesome to win a scholarship. I am from India.I am an international student,i want to study pre med in USA and become a doctor.I am a freshman, how many years does it take to become a doctor in USA. Is it preferable to study medicine in USA.Medicine in USA is very costly so i cannot afford to study there if i win scholarship it would be very useful for me. Smith college is my perfect college . Hello, my name is ives I believe that the perfect college is the college of your own choice and the one that you believe that you want to enroll in and continue your education. My perfect college is Walden University. It has the possibility of studying on line. The fee is reasonable. They also have a multicultural aspect which is very important for today’s business world. I would like to complete my bachelors degree with them. I currently finishing my Associates degree. After looking into a handful of the blog articles on your blog, I truly like your way of blogging. I saved it to my bookmark site list and will be checking back in the near future. Please check out my website as well and tell me your opinion.